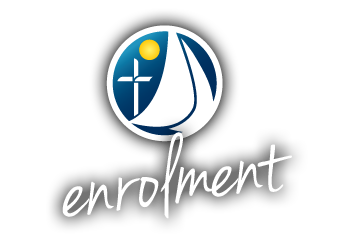 We welcome anyone who would like to enrol in Endeavour Christian College! Since our College opened in 2012, we have been blessed with many new students joining our College. We have exciting visions and plans to continue to expand the College and look forward to your family becoming a part of the Endeavour story. Anyone is more than welcome to come meet the friendly staff or to view the College and it’s outstanding facilities! If you would like to book an appointment with Mr Connell, our Principal, or any of the teachers, please use the Contact Us form. Remember to leave a contact number as well. I’m sure you have important questions you would like to ask regarding your child’s education. That is a good thing! It shows us that you are interested and involved in your child’s education and future. So are we! On the day you come to see us, you will have the opportunity to ask any questions you might have. We will also go through everything the College has to offer to make sure we are able to meet and even exceed your child’s educational needs in a fun and caring environment. We believe that every child’s future matters and we will do our best to help make it a good one. All College uniforms and accessories can be obtained from the office and must display the School logo, with the exception of shoes, hair ribbons and socks. Navy turn over socks are required for boys and girls. If you require more information, please feel free to contact the office.